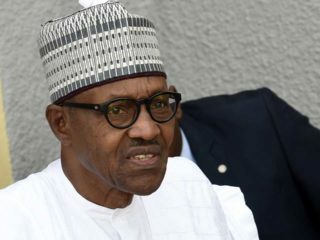 Between Macron and Buhari: The faults in our leaders! I have always been a close admirer of Emmanuel Macron, the President of the French Republic and France youngest president (he became president at the age of 39). 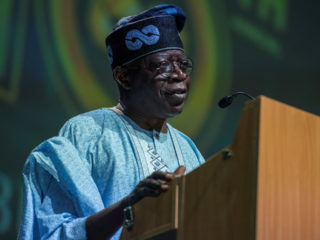 A man that has become a bundle of hope for youths all over the world that are desirous of blazing the trail in their country’s political fiefdom. I was further thrilled to receive an invitation to attend an interactive session with this highly cerebral leader at the Eko Hotel and Suites in Victoria Island on July 4, 2018. As a youth columnist, I have for sometimes referred to his disruptive entry into the French politics and some of his daunting reforms. It will be of great interest to note that Macron was just six years old when President Muhammadu Buhari was the Head of States of Nigeria in 1983! Fast forwarding to 2018, this same Macron is now the President of one of Europe greatest powerhouse, and Buhari is still the President of Nigeria! Apart from the yawning age gap between the two leaders, I have come to notice that there is also an unredeemable gap in their perspectives and thought patterns! An hour of interaction at the Eko Hotel with this ‘immaculate’ leader almost brought me close to tears as I suddenly realize that it might take donkey years for Africa to get disruptive leaders like Macron except for divine shift or intervention. A nation can never be more than the predominant mindset of her leader. A nation will always follow the trajectory of the leader’s thought pattern. 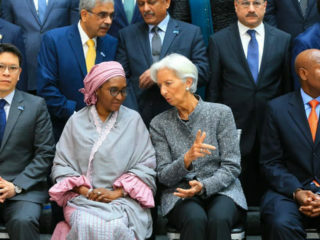 I wonder how a French President can be thinking so much about strategic interventions in Nigeria and Africa while African leaders are wallowing in excuses and victim’s mentality. It is sympathetic hearing Macron talk too well about wealth creation in Africa whereas an African President is thinking of sharing looted funds among the poor! Macron believes Nigeria has what it takes to thrive but it is poignant to see our own leaders putting us on ‘survival mode’ by thinking that sharing looted fund to the poor is the new way to go. It is appalling to know that when our leaders are thinking of building ranches for cows, someone else is thinking of building an ecosystem for African entrepreneurs through the Digital Africa Initiative (DAI). I weep for the sordid inversion of values and priorities among the African leaders. You can imagine one leader creating an ecosystem for cows and another creating an ecosystem for entrepreneurs! Don’t Wait For The Right Environment, Create One: Abraham Lincoln said, “The best way to predict the future is to create it.” One of the high moments of the interactive session was the time when a young man stood to affirm that he doubts it if Mark Zuckerberg would have amounted to much in life if he was a Nigerian. Macron looked around for like few seconds probably to feel the hopelessness in the faces of some young Nigerians that were desirous to hear his answer to this poser. Macron started by saying that our nationality must never affect our success story. He put every youths into two categories: Those that are waiting for the right environment, and those that create the right environment. No environment is strong enough to be the reason why you fail in life! African Problems Need African Solution: President Macron challenged the African youths and entrepreneur to take responsibilities for Africa’s development. He pointedly said that Africa’s future should be in Africa’s hands. Praise George once said, “It is victim mentality to hold others responsible for the situation in your own life.” Our victim mentality (always believing that the western world is responsible for our predicament) is seriously encroaching on our ability to see ourselves as the solution to our problems. Africa Doesn’t Need Charity; It Needs Good Leadership: Africa don’t actually need charity, the continent is far more blessed in resources than any other. All we need are good leaders that will channel these resources towards the development of their countries. Leadership failure is Africa’s greatest challenge. African Youths Have A Lot Of Responsibilities And Opportunities: The hope of Africa is in the hands of the African youths. The problems in Africa can only be solved through renewed thinking youths. The African youth must stop playing the second fiddle and start taking their rightful places. When youths delegate their responsibilities, they often become relegated in the affairs of their nation. Being a youth himself, Macron has called out to African youths to stop whining and start winning. Youths must refuse to be spectators in the affairs of their nation, they must start taking responsibilities and seizing opportunities. 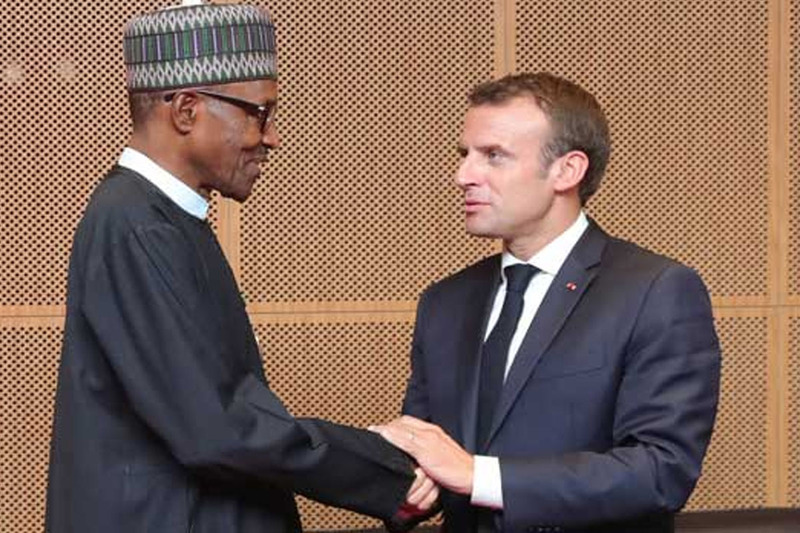 If You Don’t Get Involve, It Will Not Evolve: One of the admonitions of Macron to the Nigerian youths is to get involved in politics. The Nigerian youths must come together for a revolutionary march for the evolution of a new Nigeria. We need youths in strategic places in the nation. How can we ever be involved in policy formation when we refuse to get involved in politics? Africa’s Hope Is In The Private Sector: Politics and government can create policies, but it is only the private sector and strong institutions that make a great nation. Macron said, “I think the easiest way to succeed as a nation is to have a strong private sector, it is the only way to have an inclusive and sustainable growth.” France has initiated an investment fund for private sector players in Africa to foster innovation and enable them to scale up their business enterprises. Nobody Has The Right To Decide Your Future: Macron said, “Nobody has the right to decide your future, you alone have the right to do so.” Africans are the ones to decide Africa’s future! We are to create our own model of entrepreneurship and explain it to the world. Africans In The Diaspora Must Attach Their Success To The Success Story In Their Nations: Macron emphasized that Africans in Diaspora must be part of the success story of their home country. He emphasized that the world needs more Africans to succeed in Africa. Innovate! Innovate!! Innovate: Macron said that there is no limit to innovation and went further to say that destroying past activities when they no longer make sense is a form of innovation. He talked at length about his government’s idea of creating ‘The Digital Africa Initiative’. France has endorsed an initiative to develop entrepreneurship and innovation in Africa, with the European superpower offering €1 billion (N500 billion) to kick-start the scheme. Tagged Digital Africa Initiative (DAI), it is aimed at creating a pool of entrepreneurial knowledge and business information sharing, as well as attracting French, African and European businesses to the new narrative of the continent’s emerging entrepreneurs. Former U.N Secretary-General, Kofi Annan once said, “A society that cuts off its youth severe its lifeline.” Young people everywhere must rise up and be at the forefront of global change and innovation. The African youths must rise to challenge the status quo. A renewed thinking and incorruptible youth is an asset to the future. Politics and policy-making are still in the archaic stage; youths need to get involve for it to evolve!